Kyocera's US phone lineup is down to just rugged phones these days, where they compete with Sonim. Kyocera's been at this for a while, though, so the DuraForce Pro 2 is building on quite a bit of experience. The DuraForce Pro was a solid entry, and its sequel mostly just updates the specs to keep current. It's offered by both Verizon and AT&T. How is it in person? We put on our work gloves and checked it out. 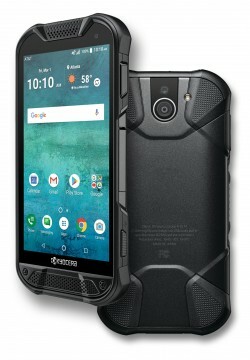 AT&T today launched sales of the Kyocera DuraForce Pro 2, an extra-rugged Android phone with waterproof body and a non-incendive rating. The 5-inch, full-HD display works through gloves and when wet. It has a 13-megapixel main camera plus wide-angle camera, fingerprint reader, NFC, barometer, memory card slot, wireless charging, and fast charging via USB-C. It utilizes a Qualcomm Snapdragon 630 processor with 4 GB of RAM and supports LTE Cat. 9 on all AT&T bands, including band 14 supporting FirstNet, as well as bands 29 and 30. It's powered by a 3,240 mAh non-removable battery. Verizon launched its own version of the phone in November. AT&T is offering the DuraForce Pro 2 today via online and business channels for $450. 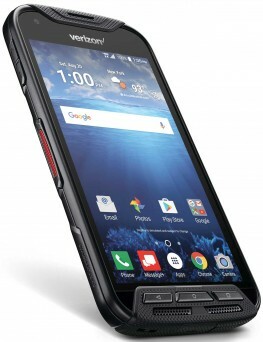 Kyocera and Verizon Wireless today announced the DuraForce Pro 2, a ruggedized smartphone that targets construction and public safety workers. The DuraForce Pro 2 is fully ruggedized thanks to its hard rubber exterior, meeting the mil-spec 810G rating. It can withstand drops, shock, vibration, radiation, temperature extremes, blowing sleet/rain, and high elevations. An IP68 rating means the DuraForce Pro 2 can handle submersion in up to 5 feet of water for up to 30 minutes. Kyocera says the DuraForce Pro 2 can be used around harmful vapors without fear of sparking a fire. The phone features a 5-inch full HD display that's protected by Kyocera's Sapphire Shield, which is scratch proof. It is powered by a Snapdragon 630 processor with 4 GB of memory and 64 GB of storage. It supports microSD memory cards up to 512 GB. The DuraForce Pro 2 has powerful front speakers that produce 106dB of sound. Four noise-cancelling mics ensure that PTT calls, speakerphone calls, music, and other audio is loud and clear. The main camera has a 13-megapixel sensor and features such as wide 135-degree field of view, underwater mode, slow motion, time lapse, and automatic scene detection. The phone also has a 5-megapixel front camera. Programmable keys let users launch select apps, such as PTT or the camera, at the press of a button. The phone has a 3,240mAh battery that supports rapid charging and wireless charging. A fingerprint reader is built into the power button on the side. The Kyocera DuraForce Pro 2 costs $444, or $18.50 for 24 months. It is only available online. The 3GPP today ratified another piece of the 5G specification, termed the Standalone 5G New Radio, or SA 5G NR. This spec is for 5G networks that are developed on their own, apart from legacy or pre-existing networks. The Non-Standalone portion of the 5G spec was ratified late last year and covers 5G that hooks into existing LTE 4G systems. "The freeze of Standalone 5G NR radio specifications represents a major milestone in the quest of the wireless industry towards realizing the holistic 5G vision," said BalÃ¡zs BertÃ©nyi, chairman of 3GPP RAN. "5G NR Standalone systems not only dramatically increase the mobile broadband speeds and capacity, but also open the door for new industries beyond telecommunications that are looking to revolutionize their ecosystem through 5G." The SA 5G NR and the NSA 5G NR standards will together include the technology used by commercial entities, the air interface, and end users. The spec was approved by more than 600 delegates from the world's leading carrier, handset, and silicon vendors. Some participants included AT&T, DISH, Ericsson, Huawei, Intel, Kyocera, LG, MediaTek, Nokia, Qualcomm, Samsung, SoftBank/Sprint, Sony, Verizon, Xiaomi, and ZTE. The 3GPP said the technical specifications for the ratified SA 5G NR will be published in the days ahead. Google says its Android Messages app is on the upswing thanks to new RCS-based tools and growing support from phone makers and wireless network operators. To start, brands now have more power to interact with consumers thanks to RCS business messaging. Google says brands can "send more useful and interactive messages" to their customers with photos, videos, and links for purchasing. A number of companies have been testing RCS business messaging via Google's Early Access Program. 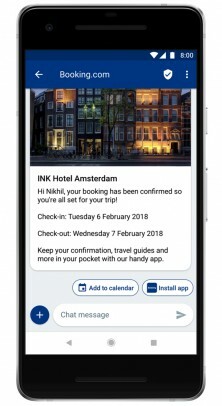 Some include 1-800 Contacts, 1-800-Flowers.com, Booking.com, SnapTravel, and Subway — all on Sprint in the U.S. Google says more businesses will be deploying richer messaging via the Android Messages app over the coming months. The Android Messages app has gained a lot of traction with phone makers and carriers, and more support is on the way. Moving forward, Alcatel, BlackBerry, Transsion, Blu, Positivo, Multilaser, Mobiwire, Azumi, and Essential will all preload Android Messages as the default SMS/messaging app. A number of phone makers already offer Android Messages, including Huawei, LG, HMD Global, HTC, Kyocera, Motorola, Sony, and ZTE. The app has a growing footprint with carriers, as well. Google says America Movil, AT&T in Mexico, Celcom Axiata Berhad, Freedom Mobile, Oi, Telia Company, and Telefonica have joined Deutsche Telekom, Globe Telecom, Orange, Rogers Communications, Sprint, and Telenor in their commitment to launch RCS messaging. Sprint is the lone U.S. carrier to go all-in with Google's RCS and Android Messages. AT&T and Verizon each offers its own RCS-based messaging client for Android handsets. 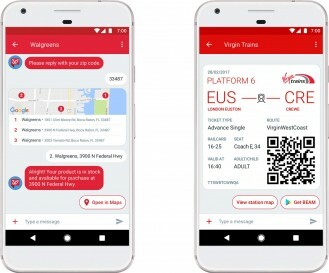 Google believes this new momentum for RCS and Android Messages will eventually mean a better messaging experience between people, brands, and more. Sprint recently launched its Direct Connect Plus push-to-talk service. Direct Connect Plus powers walkie-talkie style conversations with instant connections between users. The service relies on Kodiak's LTE network-based technology, rather than Sprint's discontinued iDEN network. It supports one-to-one and group conversations. Features include presence status, support for tablets, and corporate control over contacts and groups. Sprint's Direct Connect Plus service is available to most Android and iOS smartphones and tablets via mobile app for $5 per month. Several handsets in Sprint's line-up, including the Kyocera DuraXTP, DuraForce Pro, and DuraTR, include physical PTT buttons and native support for Direct Connect Plus. The service is aimed at business customers. 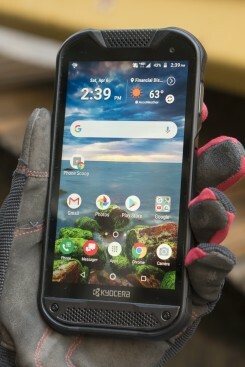 Kyocera has quietly launched the DuraTR, a ruggedized bar phone intended for Sprint's Direct Connect service. The DuraTR meets mil-spec 810G for protection from drops, bumps, scrapes, and bruises. It can handle immersion in water, as well as exposure to fog, heat, moisture, dust, and cold. It is also certified for use in some hazardous environments. Stand out features include a user-assignable action button, extra-loud speakerphone, non-slip finish, and a standard numeric key pad. As far as specs go, the DuraTR includes a 2.4-inch screen, quad-core Qualcomm processor, 1 GB of memory, 8 GB of storage, and a 2,900mAh removable battery. It packs a 5-megapixel camera with LED flash and HD video capture. Software features include messaging, email, mobile browser, and enterprise-focused software, such as time sheets. Sprint is selling the phone through its business web site. Sprint's Direct Connect service is not yet live, though it is expected to become available later this month. Direct Connect uses Kodiak's service to power push-to-talk over the LTE 4G network, rather than a dedicated PTT network. Once Direct Connect goes live, DuraTR owners will be able to activate the service through a software update. Google today announced the final release of Android 8.0, and also named this version "Oreo". Members of the Android Beta program will receive an update to the final version today. Nexus and Pixel users will receive the update "rolling out in phases over the next several weeks". Google has been working with all of its partners to enable updates for other phones. In the coming weeks and months, other manufacturers will roll out the update to many recent phones. By the end of the year, phones from Essential, Huawei, HTC, Kyocera, Motorola, Nokia, Samsung, Sharp and Sony will have Android 8.0 Oreo. The update includes some minor new features, such as picture-in-picture and improved auto-fill, plus many important improvements for developers and overall performance. 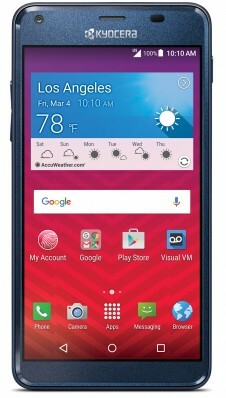 T-Mobile today added the Kyocera DuraForce Pro to its roster of Android handsets. The phone has been available to AT&T and Sprint customers since last year, and to Verizon customers since January. The DuraForce Pro includes a 5-inch full HD screen, 13-megapixel main camera, 5-megapixel wide-angle secondary camera, and a 5-megapixel front-facing camera. The phone offers a fingerprint reader, NFC, Snapdragon 617 processor, 3,240mAh battery, memory card slot, dual front speakers, and push-to-talk. The device is fully ruggedized, washable, and can sit in 6 feet of water for up to 30 minutes. T-Mobile says its variant of the phone has new camera features, including an Action Overlay mode. This lets people record video with a "heads-up display" that includes speed, distance, altitude, elapsed time, and other data. The DuraForce Pro runs Android 6.0 Marshmallow. It costs $425. Google today said more wireless network operators and handset manufacturers will use Android Messages, its RCS-based messaging service, as the default SMS/MMS tool on their phones. (Android Messages was previously known as Google Messenger.) Some of the features of RCS, which is a global standard, include group chat, high-resolution photo sharing, advanced calling features, and read receipts. It has been improved lately with more interactive tools, such as the ability to check into flights. Google says a number of brands plan to use RCS in order to enhance their own services and help spur adoption. Some of the brands include Walgreens, Baskin-Robbins, FICO, Gamestop, Sonic, Subway, and Time. Moving forward, the Android Messages app with RCS will be preloaded by LG, Motorola, Sony, HTC, ZTE, Micromax, HMD Global, Archos, BQ, Cherry Mobile, Condor, Fly, General Mobile, Lanix, LeEco, Lava, Kyocera, MyPhone, QMobile, Symphony, and Wiko, along with Google's own Pixel and Android One devices. Further, Google was already working with carriers Sprint, Rogers, and Telenor, and today added Vodafone, Orange, Deutsche Telekom, and Globe. Notably absent fro the list of phone makers is Samsung, while AT&T, T-Mobile, and Verizon have also yet to commit. Phones with Android Messages on board will still be able to interact with Samsung handsets and those running on non-Sprint networks of course, but will lose the advanced features available via RCS. Samsung, AT&T, T-Mobile, and Verizon haven't said if or when they might adopt Google's Android Messages, though T-Mobile and Verizon already use their own RCS-like messaging platforms. Kyocera's flagship rugged smartphone is the DuraForce Pro. This is one tough handset that combines brawn and brains into a compelling, water-and-drop-proof package. Here are our initial impressions. 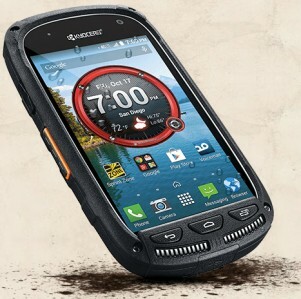 Verizon Wireless has added the Kyocera DuraForce Pro to its lineup of rugged handsets. The phone is available to Verizon customers starting Jan. 5. It has been for sale from AT&T and Sprint since last year, but the Verizon variant is the only one to include Sapphire Shield, a near unbreakable piece of glass protecting the display. The DuraForce Pro includes a 5-inch full HD screen, 13-megapixel main camera, 5-megapixel wide-angle secondary camera, and a 5-megapixel front-facing camera. The phone offers a fingerprint reader, NFC, Snapdragon 617 processor, 3,240mAh battery, memory card slot, dual front speakers, and push-to-talk. It goes without saying that the device is fully ruggedized, washable, and can sit in 6 feet of water for up to 30 minutes. The DuraForce Pro runs Android 6.0 Marshmallow. It costs $408 at full retail or $17 per month on a payment plan. 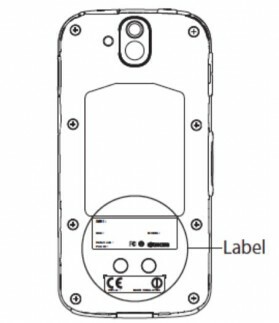 The FCC has approved a new Kyocera smartphone with LTE bands unique to Sprint, and a model number indicating it's a variant of the recently-announced DuraForce Pro. The DuraForce Pro is a rugged, washable Android phone with dual rear cameras, a fingerprint reader, NFC, fast charging, and wireless charging. It went on sale with AT&T this week, and another FCC approval indicates it will come to Verizon as well. Past Kyocera models have rarely been offered on more than one or two carriers. Cricket Wireless today dropped the price of its least-expensive plan to $30 per month. The plan includes unlimited talk and text and 1 GB of high-speed (8Mbps) data. Users who exceed 1 GB of data per month will be throttled to 2G speeds (128Kbps) for the remainder of the billing cycle. The new plan will be available September 9. Also kicking off September 9 are several promotions from Cricket. For example, customers who activate new lines of service will be eligible for a free Alcatel Streak, ZTE Sonata 3, or Kyocera Hydro View. Further, customers who port their number to Cricket from another carrier can purchase the Alcatel Idol 4 with VR Goggles for $99. The FCC today approved new Kyocera phones that seem to match the just-announced DuraForce Pro. One supports both CDMA and LTE 2/4/5/13, a combination unique to Verizon. A separate version compatible with AT&T and T-Mobile networks was also approved today. 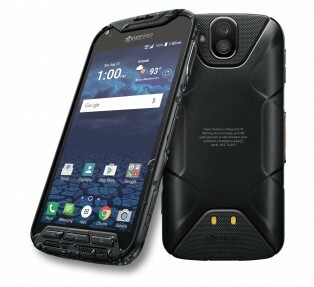 Kyocera today announced the DuraForce Pro, its new rugged Android phone. The DuraForce is positioned as a significantly upgraded replacement for both the DuraForce and the Brigadier models, and comes in versions both with and without CDMA. That implies the phone may come to both AT&T and Verizon, although Kyocera is not announcing carrier partners at this time, just that it will be released "in the coming months." Most specs have been upgraded compared to the DuraForce/Brigadier. The main camera steps up to 13 megapixels, and is accompanied by a wide-angle "action camera" with 135-degree lens and 5 megapixels, plus 5-megapixel front camera. A fingerprint reader has been added to the side, which works with NFC. It's just as rugged and waterproof, but also fully washable (unaffected by soap). The screen can be used while wet and the camera has an underwater mode. The screen is larger (5 inches) and higher-resolution (full HD). The processor is a faster Snapdragon 617. It also has a larger 3,240 mAh battery and both fast charging and wireless charging. Other features a 3.5mm audio jack, memory card slot, PTT, dual front speakers, and barometer. For business users, it supports enhanced MDM, enterprise Wi-Fi, and advanced VPN capability. Its rugged specs include IP68 and U.S. Military rating for dust, shock, vibration, temperature extremes, temperature shock, blowing rain, low pressure, sun, salt fog, humidity, water immersion (up to 2 meters for 30 minutes), and icing freezing rain. The DuraForce Pro runs Android 6.0 (Marshmallow). Verizon Wireless said it will discontinue its $2.99 Visual Voicemail service come July 8. All customers who use the Visual Voicemail app will be transitioned to Verizon's free, basic voicemail service. Verizon says customers won't lose their existing voicemails, but may need to make room in their voicemail inbox, as well as reset their voicemail greeting. The list of phones impacted by the change is significant, including old and new models from BlackBerry, Casio, HTC, Kyocera, LG, Motorola, Nokia, Pantech, and Samsung. Verizon did not say why it is discontinuing the Visual Voicemail service. AT&T today added a handful of new handsets to a buy one, get one free offer the carrier has had in place since February. The extended BOGO promotion now applies to the Samsung Galaxy S7 and S7 Edge, the Microsoft Lumia 950, the HTC One A9, and the Kyocera DuraForce. The other handsets already included in the offer are the Apple iPhone 6s, 6s Plus; Samsung Galaxy S6, S6 Edge, S6 Edge Plus, S6 Active, and Note 5; and LG G5 and V10. The offer lets new and existing customers buy one phone at full price and receive a second one for free. The two handsets must come from the same manufacturer. AT&T says both phones must be purchased via its AT&T Next installment plan. The first phone can be a new line or an upgrade, but the second phone must be a new line purchased with an AT&T Next 24 plan (req's 30 payments). Both phones must be added to a qualified plan, such as Mobile Share Value, which starts at $70 for two lines. Customers will need to pay sales tax on the two phones at the time of purchase and may need to make several monthly payments on both before AT&T credits up to $650 for the second phone spread out over the 30 months. The offer is available through June 30. 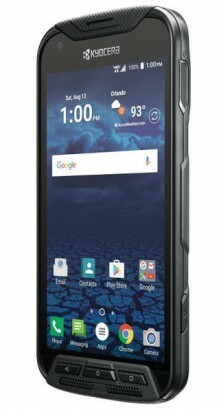 Kyocera today said T-Mobile will soon be selling the DuraForce XD rugged Android smartphone. Starting May 11, the DuraForce XD will be available online and in stores for $449.99. The DuraForce has a 5.7-inch display, 3,700mAh battery, and 1.6 GHz quad-core processor. The phone had been available from AT&T since earlier this year. Sprint's prepaid brands, Boost Mobile and Virgin Mobile, plan to sell three low-cost smartphones in the weeks ahead, including the Kyocera Hydro Reach. The Reach (pictured) is an update to the Hydro Edge. It is water and dust proof, and the 5-inch qHD display supports wet finger tracking. The Hydro Reach is powered by a 1.1 GHz quad-core Snapdragon processor and comes with 1 GB of RAM and 8 GB of storage. The main camera has a 5-megapixel sensor and the user-facing camera has a 2-megapixel sensor. The device has a 2,160mAh battery and runs Android 5.1 Lollipop. 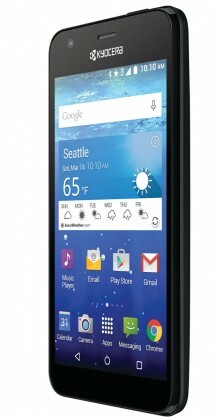 The Hydro Reach will go on sale April 15 from Boost Mobile and Virgin Mobile USA. It will cost $99. Boost and Virgin also plan to add the LG Stylo 2 and Samsung Galaxy J7, both announced earlier this year, to their rosters. The Stylo 2 will reach Boost stores April 15 and Virgin stores May 9. It will cost $179.99. The Galaxy J7 hits Boost stores on April 15 for $229.99, and Virgin on April 19. T-Mobile-owned MetroPCS is targeting Sprint customers with new service and handset discounts. Starting January 21, Sprint, Boost Mobile, and Virgin Mobile customers who switch to MetroPCS can save up to 50% off Sprint's Family Share Pack pricing. For example, a single ported line can save between 22% and 48%, while two or more lines can save between 23% and 50%, depending on a number of variables such as existing plan cost, new plan pricing, and local taxes. Customers who switch can keep the low rate plans as long as they remain with MetroPCS. The promotion includes unlimited talk and text, Music Unlimited, Data Maximizer and mobile hotspot. MetroPCS is offering switchers a free LG Leon LTE, Kyocera Hydro Wave, Samsung Core Prime, LG K7, or $50 rebate that can be applied to any phone sold by MetroPCS. Last, MetroPCS is offering its existing customers a $20 discount when adding an extra 5GB line. T-Mobile said the promotion will be available for a limited time, but didn't provide an end date. 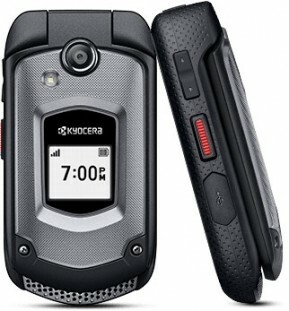 Kyocera and Sprint today announced the DuraXTP, an ultra-rugged feature phone. The DuraXTP is rated mil-spec 810G for durability and IP68 for protection against water and dust. The phone can handle shock, vibrations, blowing rain, temperature extremes, high humidity, and immersion in 6 feet of water for up to 30 minutes. The DuraXTP has dual screens, including a 1.08-inch external monochrome display and a 2.4-inch main color display. The phone runs the BrewMP platform and is powered by a 480 MHz processor, with 256 MB of RAM, 512 MB of storage. It supports memory cards up to 32 GB. The phone includes GPS and Bluetooth. Sprint says the 1500mAh battery provides extended standby time. Sprint is selling the DuraXTP for $9 per month for 24 months. Kyocera kicked off CES with two new phones for AT&T. The DuraXE is a rugged flip and the DuraForce XD is a rugged phablet. Both are practically unbreakable and come with business and consumer-friendly features. Here are our first impressions of these two handsome handsets. 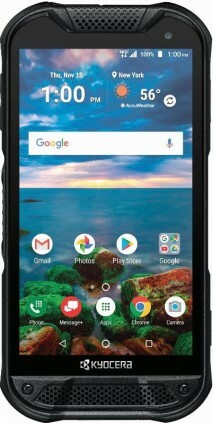 Kyocera and Cricket Wireless today announced the Hydro View, a waterproof Android smartphone that is similar to the Hydro Air. The View is rated IP57 against water and dust and can sit in 3 feet of water for up to 30 minutes. It features a 5-inch qHD screen with wet finger tracking. The View is powered by a 1.1 GHz quad-core Snapdragon 210 processor with 1 GB of RAM, 8 GB of storage, and support for memory cards up to 64 GB. The rear camera can capture 5-megapixel images or 1080p HD video. The front camera rates 2 megapixels. Radios include LTE, Bluetooth 4.1, and WiFi with support for mobile hotspot. The Hydro View runs Android 5.1 Lollipop and comes with several of Kyocera's apps and services, such as EcoMode and MaxiMZR to keep the 2160mAh battery up and running. The Kyocera Hydro View will hit Cricket stores January 8 for $79.99. 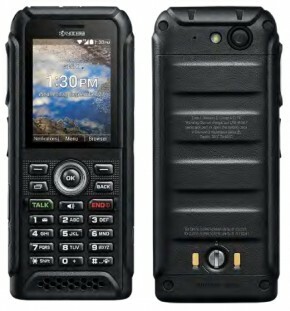 Kyocera and AT&T today announced the DuraXE, an ultra-rugged feature phone that includes PTT and hotspot capabilities. The DuraXE is rated mil-spec 810G for durability and IP68 for protection against water and dust. The phone can handle shock, vibrations, blowing rain, temperature extremes, high humidity, and immersion in 6 feet of water for up to 30 minutes. The DuraXE has dual screens, including a 1.08-inch external monochrome display and a 2.6-inch main color display. The phone is powered by a 1.1 GHz quad-core Snapdragon 210 processor and includes 1 GB of RAM, 8 GB of storage, and supports memory cards up to 32 GB. The phone runs on AT&T's LTE network and includes GPS, Bluetooth, and WiFi. It can serve as a mobile hotspot for up to 10 other devices, which is novel for a non-smart phone. Kyocera says the 1500mAh battery provides extended standby time. AT&T will begin selling the DuraXE January 8. It will cost $13.50 per month for 20 months on an AT&T installment plan. AT&T will also sell the DuraForce XD phablet, announced several months ago, on January 8. The DuraForce XD will cost $14.97 per month with an AT&T Next 24 plan. Contract pricing is available only to business customers. 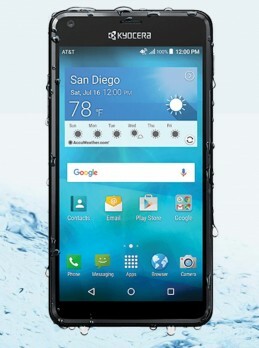 Kyocera has revealed the Hydro Air, a new waterproof smartphone headed to AT&T's prepaid GoPhone service, on its web site. The Hydro Air features a 5-inch quarter HD (960 x 540) display that supports wet-finger use. Kyocera says the phone is rated IP57 against liquid ingress, meaning it can sit in 3 feet of water for up to 30 minutes. The phone is powered by a 1.2GHz quad-core processor with 1GB of RAM, 8GB of storage, and support for memory cards up to 32GB. The main camera has a 5-megapixel sensor and can capture full HD video, and the front camera has a 2-megapixel sensor. The Hydro Air has a 2,300mAh battery, which cannot be removed. The device ships with Android 5.1 Lollipop and will cost $99 when it reaches stores. 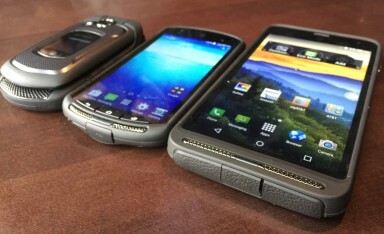 AT&T today said it will soon offer the DuraForce XD, a rugged Android phabletÂ from Kyocera. The DuraForce XD picks up where last year's DuraForce left off with a bigger 5.7-inch HD screen with wet-finger tracking and glove support. Despite the increase in size, the XD maintains the DuraForce's mil-spec 810G and IP68 ratings for protection against abuse and liquids. It is safe from drops, shock, vibration, temperature extremes, blowing rain, low pressure, high altitude, solar radiation, salt fog, humidity, and a dunk in the drink (6 feet for 30 minutes). It is safe to use in some potentially work hazardous work environments, such as places with flammable gases or vapors. The phone supports AT&T's enhanced-PTT service and comes with a bevy of business-friendly apps and services. The XD has loud, dual speakers that can reach 110dB, and it includes a 3,700mAh battery. The Kyocera DuraForce XD will go on sale in a few weeks. Pricing wasn't revealed. 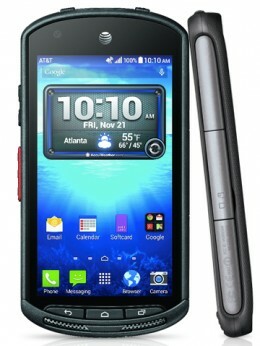 Kyocera today announced the Hydro Wave, its newest Android handset for T-Mobile and MetroPCS. The Hydro Wave has an IP57 rating for protection against water/dust ingress and meets mil-spec 810G for resistance to abuse. The Wave includes wet screen tracking so the phone can be used when wet. It runs Android 5.1 Lollipop but includes new software from Kyocera called Core Home, which simplifies the user interface for first-time users or those who prefer the look and feel of feature phone UIs. The Hydro Wave features a 5-inch qHD display, 1.2 GHz quad-core Qualcomm Snapdragon 410 processor, 1 GB of RAM, 8 GB of storage, and supports memory cards up to 32 GB. The main camera has a 5-megapixel sensor with LED flash and can capture 720p HD video, while the user-facing camera has a 2-megapixel sensor. Wireless capabilities include WiFi with WiFi Direct and WiFi Calling, Bluetooth 4.0 Low Energy, and LTE with VoLTE and HD Voice support. The Hydro Wave has a 2,300mAh battery and includes Kyocera's Eco Mode and MaxiMZR to enhance battery life. The Hydro Wave will go on sale in T-Mobile stores July 22, followed by MetroPCS stores July 27. The price is $149.99. Microsoft today said that it has expanded the scale of a patent cross-licensing agreement with Kyocera. Microsoft and Kyocera are now able to use a broader range of one another's technologies in a variety of products. The licensing agreement also resolves a patent infringement lawsuit filed earlier this year. Microsoft did not disclose the terms of the agreement. Microsoft holds a number of smartphone-related patents and most makers of Android smartphones pay Microsoft royalties to license those patents. 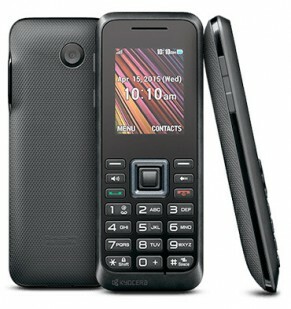 Kyocera today announced the Rally, a bar-style feature phone for T-Mobile's prepaid business. The Rally is a traditional cell phone that includes a 1.8-inch screen and a physical key pad for dialing numbers. The phone runs the Brew MP operating system and has some basic apps, including a calendar, to-do list, and stopwatch. The phone has a VGA camera with 1080p video capture, supports microSD memory cards, and includes 760mAh battery that provides up to four hours of talk time. The phone has Bluetooth 2.1+EDR and a 3.5mm headphone jack, as well. The Kyocera Rally costs $60. Kyocera today launched a nationwide 'Take Back' phone recycling program that will provide calling services to deployed military personnel. Kyocera partnered with SecondWave Recycling to handle the logistics. SecondWave breaks phones down and responsibly recycles their raw materials. For every four phones recycled, Kyocera will donate $1 to the Cell Phones for Soldiers program, which gives active-duty military personnel and veterans free communications services when abroad. The $1 donation provides 30 minutes of long-distance calling time. Kyocera says only 13% of cell phones are recycled, with the remainder going to landfills or incinerators. The Take Back program will accept any phone, working or not. People interested in recycling their phones can print free shipping labels from Kyocera, which will also provide shipping containers if necessary. Microsoft has filed a lawsuit against Kyocera in which it alleges the Japanese smartphone maker is violating seven of its patents. In particular, Microsoft is targeting the Duraforce, Hydro, and Brigadier series devices. Microsoft claims these phones use Microsoft-patented technology pertaining to location services and text messaging. These devices all run Google's Android platform. Microsoft has successfully forced most Android smartphone makers into signing licensing agreements for patents that are part of the Android operating system. "We respect Kyocera but we believe they need to license the patented technology they are using. We're hopeful this case can be resolved amicably," said Microsoft in a statement. Kyocera has yet to respond to the allegations. 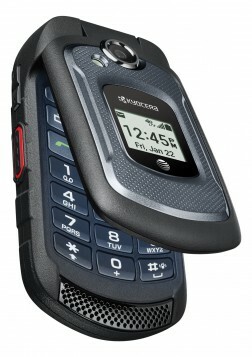 Verizon Wireless recently added the Kyocera DuraXV to its lineup of rugged handsets. The DuraXV, a successor to Kyocera's DuraXT, is a flip phone that meets mil-spec standards for protection against temperature extremes, dust, and shock. It is also waterproof in depths up to six feet for 30 minutes. The DuraXV features Kyocera's Smart Sonic Receiver technology for clear phone calls, and includes dual front-facing speakers. It has two screens with the main color display measuring 2.4 inches with 320 x 240 pixels. 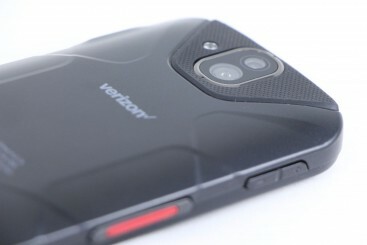 The phone has a 5-megapixel camera, but Verizon also sells a variant with no camera. The phone runs the Brew MP operating system. 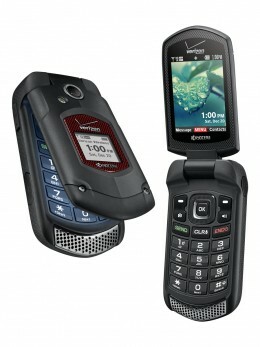 The Kyocera DuraXV costs $199 at full price, $99 with a two-year contract, or $8.33 per month with a Verizon Edge plan. U.S. Cellular is also selling the phone as the Kyocera DuraXA. It is charging $199, but is offering a $50 mail-in rebate to cut the total cost to $149. 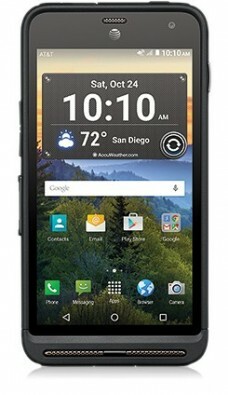 AT&T today announced the pending availability of the Kyocera DuraForce, a ruggedized Android smartphone. Like many of Kyocera's rugged devices, the DuraForce is mil-spec 810G and IP-68 certified. This means it is protected from drops, shock, temperature, dust, and vibration, and it can sit in up to six feet of water for up to 30 minutes. It also uses Kyocera's Smart Sonic Receiver, which makes it easier to hear in noisy environments. The phone features a 4.5-inch 720p HD screen, 1.4GHz quad-core Snapdragon 400 processor, 3,100mAh battery, and 16GB of internal storage. The DuraForce runs Android 4.4.2 KitKat and supports AT&T's LTE network and its Enhanced Push-to-Talk (EPTT) service. The no-commitment price of the Kyocera DuraForce is $390. AT&T is offering the DuraForce for $50 with a two-year contract, $19.95 per month with AT&T Next 12, or $16.63 per month with AT&T Next 18. It will be available online November 7 and in stores November 21. Madstar Mobile today announced itself as "the newest national wireless carrier." The MVNO resells access to Sprint's 3G/4G networks and claims to offer the benefits of postpaid and prepaid services at the same time. It bills for service on a postpaid basis, but it doesn't require credit checks, deposits, or contracts. Madstar says customers can cancel their service at any time with no fear of ETFs. The company offers a range of feature phones, smartphones, and access points. Customers can choose to pay full price for their phones or finance them with monthly payments. 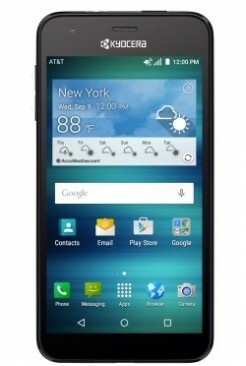 For example, the HTC One (M8) is available for $665 or as low as $29 per month on an installment plan. Other handsets in Madstar's roster include the Apple iPhone 5, Google Nexus 5, Kyocera Kona, and the Samsung Galaxy S5. Alternately, customers can bring their own compatible device and port their existing wireless number if they wish. The least expensive service plan costs $22 per month and includes 250 voice minutes, 250 messages, and pay-as-you-go data. Plan pricing jumps by $11 increments, with the most expensive option topping out at $88 per month. It includes unlimited voice minutes, messaging, HD Voice, and 2GB of data "Our goal is to provide subscribers with a cost effective, convenient and reliable wireless service using the device of their choice,” said David Pearsall, Madstar Mobile's founder & CEO. "Wireless devices and service have become a necessity, not a luxury and should be affordable to everyone without the need to prepay now for the right to service later." The company is based in New Milford, Conn.
Sprint and Kyocera today announced the Torque XT, a minor update to the original Torque. The two updates include compatibility with Sprint's Direct Connect walkie-talkie service, and the improvement on onboard storage to 20GB. Otherwise, all the features are the same as the original Torque. The XT has a mil-spec rating of 810G for protection against shock, temperature extremes, solar radiation, and vibration. It has an IP rating of 67, which means it can sit in one meter of water for up to 30 minutes, as well as spend the day in the sand on the beach. The device includes standard Kyocera features, such as the Sonic Smart Receiver for phone calls, and MaxiMZR and Eco Mode for managing battery life. The Torque XT has a 4-inch WVGA screen, 1.2GHz dual-core Snapdragon processor with 1GB of RAM, 5-megapixel main camera, and a 1.3-megapixel user-facing camera. The phone includes WiFi, GPS, NFC, and Bluetooth 4.0, and runs on Sprint's LTE network. The device is based on Android 4.4.2 KitKat and includes an array of business-friendly features, such as support for VPNs, mobile device management suites, and Exchange ActiveSync. The Kyocera Torque XT is available today via most Sprint sales channels. Sprint is asking for $0 down followed by 24 payments of $15 with Sprint Easy Pay. 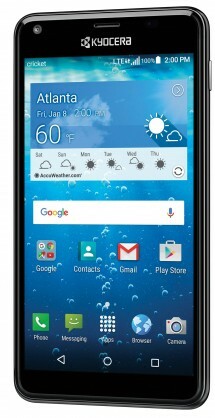 Sprint today said a software update will add Wi-Fi Calling to the Kyocera Hydro Vibe. The update is rolling out now and should reach all Vibes in the coming weeks. Wi-Fi Calling lets customers make calls and send messages over Wi-Fi networks for free. Verizon Wireless is offering a handful of its handsets the ability to include push-to-talk, walkie-talkie features. The service, called Push To Talk Plus, is available to smartphones including the Motorola Droid Maxx, Samsung Galaxy S5, and Casio G'zOne Commando beginning today. 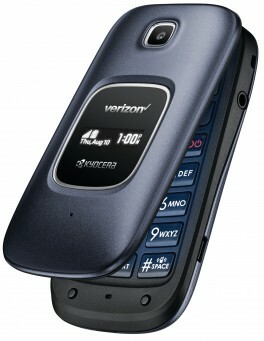 Other phones, such as the Kyocera Brigadier, will gain the feature down the road. According to Verizon, the service is powered by Kodiak Networks and offers fast call setup times, improved voice quality, and encrypted calls. Users will be able to join existing PTT calls, as well as rejoin calls they left. The service is being offered to business customers, who need to reach out to their sales representatives to initiate service. Push To Talk Plus costs $5 per month per line, though Verizon is offering six months for free to those who sign up soon.